This momager’s lips are sealed! 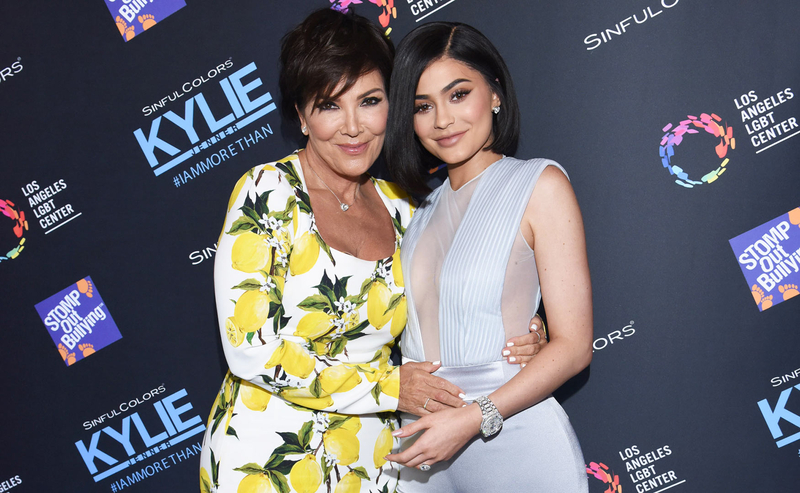 Kris Jenner would not confirm her daughter Kylie Jenner‘s pregnancy when Ryan Seacrest asked about the surprising news on Monday, September 25. The TV and radio personality, who serves as an executive producer on the family’s E! reality series Keeping Up With the Kardashians, reached for his smartphone on Live With Kelly and Ryan to send a text message to Kris, 61, to see if she would address the reports. As the studio audience collectively sighed, Kelly Ripa threw her hands up in the air. 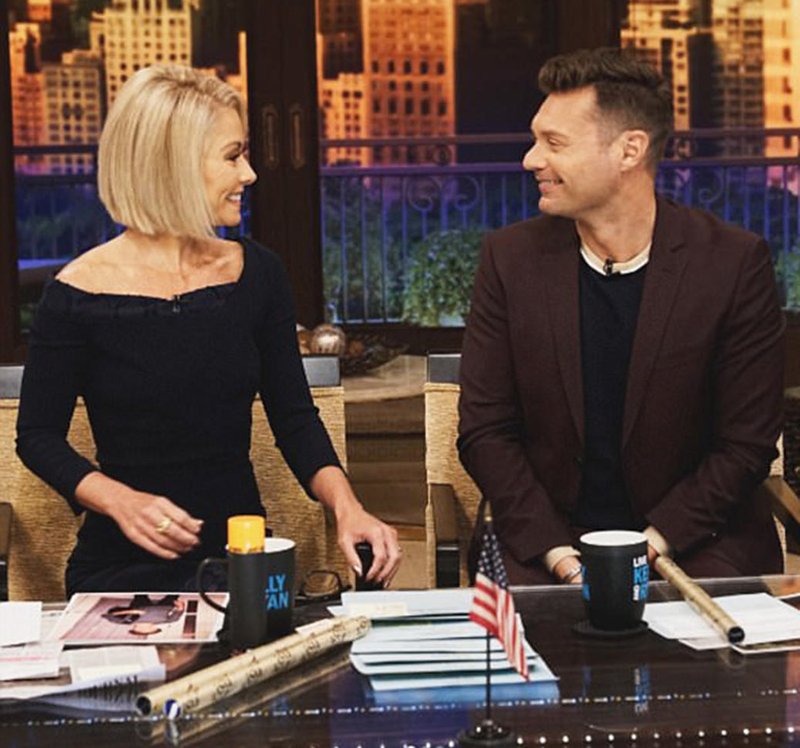 “So now we’re sitting here with that hanging over our heads,” she quipped, adding that she heard the news from her daughter Lola, 16, and texted Seacrest while he was on stage at the iHeartRadio show. Though Kylie, 20, has yet to publicly comment on the news, multiple sources confirmed to Us Weekly on Friday, September 22, that she is expecting her first child with her boyfriend, Travis Scott. She is “at least four months” along, one insider revealed. In addition, multiple sources told Us that Kylie is having a baby girl. The lip kit creator and the “Goosebumps” rapper, 25, began dating in April, just weeks after her split from longtime love Tyga. After the news of Kylie’s pregnancy broke, she attended the iHeartRadio Music Festival in Las Vegas on Saturday, September 23, to support her beau, who performed during DJ Khaled‘s set. Kylie concealed her baby bump at the concert in an oversize gray T-shirt.